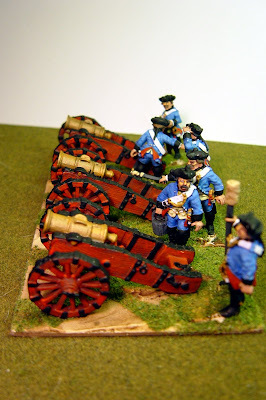 Schaumburg Lippe is a Ruritanian delight and one of the reasons why wargaming the 18th century is such fun. 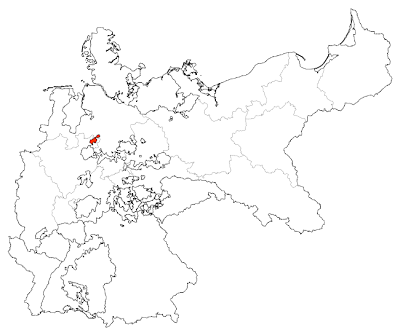 The County of Schaumburg Lippe (Grafschaft Schaumburg-Lippe in German) was a tiny pin-prick of a place but it's ruler was an artillery fanatic. He had his guns constructed to his specification and established an artillery school on an island in his Grafschaft. The map shows the territory (in 1905) to be 131 square miles in size! 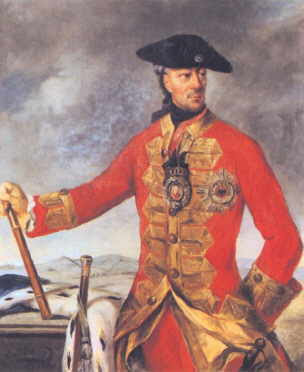 Count Ernst Friedrich Wilhelm of Schaumburg-Lippe was born in London in 1724 and served at the Battle of Dettingen. During the SYW he commanded the Allied artillery at the Battle of Minden. By the end of the war he was in Portugal reforming that state's military establishment. The army of his tiny Grafschaft consisted on one battalion of infantry (that was often to be be found guarding the artillery), a small cavalry unit, a jaeger unit, and an enormous, proportionately, artillery park of 29 3-pounders, four 8-, two 12-, three 18-pounder cannon, three howitzers and four heavy mortars!! 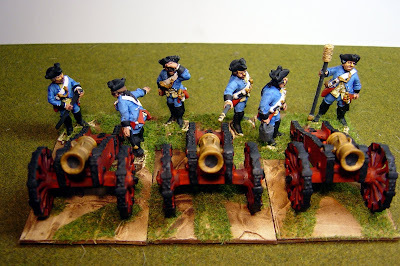 The colour scheme of the guns is speculative but as the infantry unit was considered to be part of the Hanoverian establishment I have gone with the traditional Hanoverian red. This is my last post for 2011 so I'd like to wish you all a Happy Christmas and hopes for us all that 2012 is a somewhat better year than the one that went before. 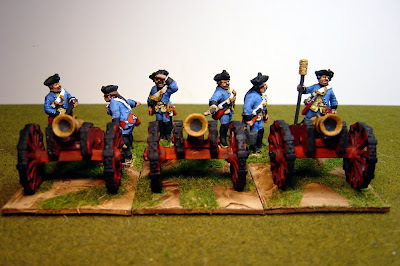 They look awsome, very well painted. Fantastic to see these in 25mm, I painted one gun up years ago in 15mm, for Age of Reason rules, I also painted the Black Carabiniers, for my allied army. now sadly sold to one of my pals, who hasn't had a game with them for at least 5 years! Are the figures Prussian or Austrian? An impressive, all in all rather glamorous battery! Very nice figs, these batteries are impressive! Lovely painting, Nigel. That reddish-brown is just the right colour for AWI continental artillery too! Thanks for the informative post on the Grafshaft von Schaumburg-Lippe - nicely done battery of howitzers too - very colourful! Good on the old Graf - gotta love a man who loves the big guns! Merry Christmas to you and yours Nigel from sunny Down Under!